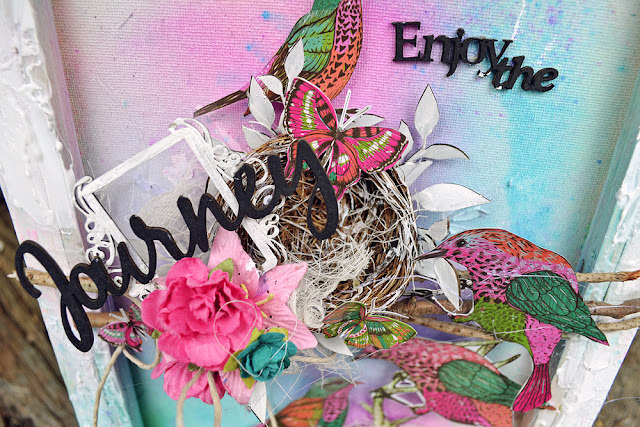 Reverse Canvas - "Enjoy The Journey"
Trudi with you today sharing some more 2Crafty loveliness. I am really enjoying altering canvases at the moment. They are a great way of adding your own personal unique touch for home decor. 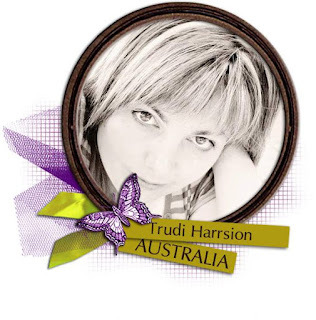 Hang them on a wall or display on a picture plate holder. They also make a lovely gift for someone special. 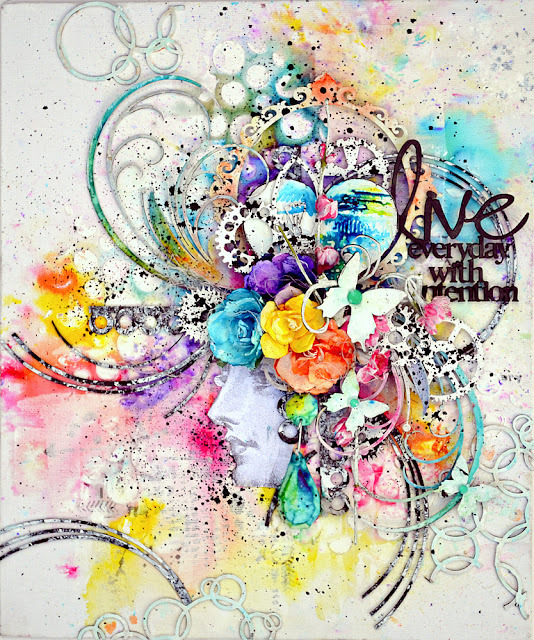 I created this one as a reverse canvas, I just love the shadow box appeal created when you turn the canvas over. A pretty dimensional scene has been created with 2Crafty Chipboard, a few fussy cut elements and blooms. A touch of nature was added with a few twigs collected from the garden with a small birds nest affixed in place with Mini Branches wrapped around the outer nest edge. 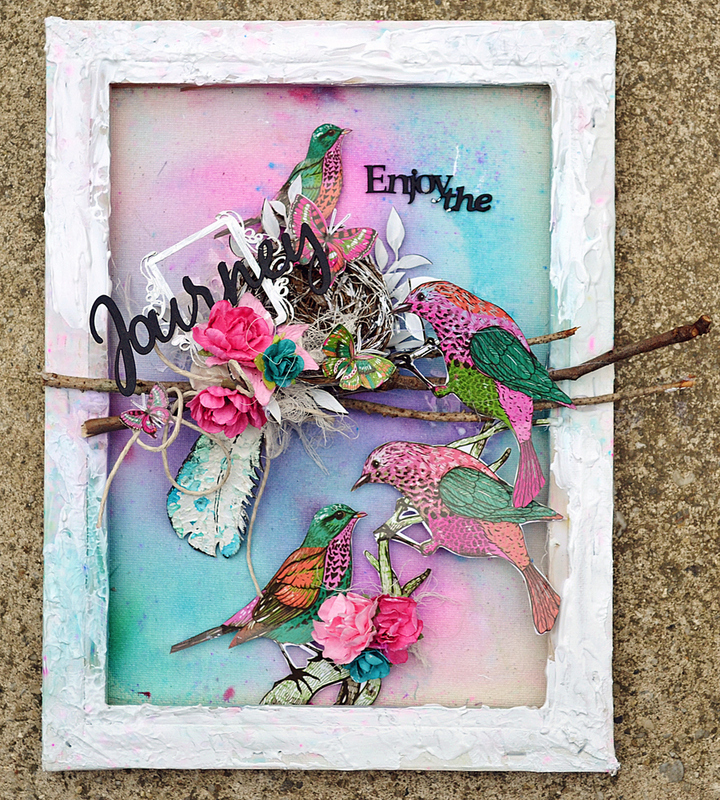 A feather from the Soft Feather Set was altered with texture paste, white paint and water colour. 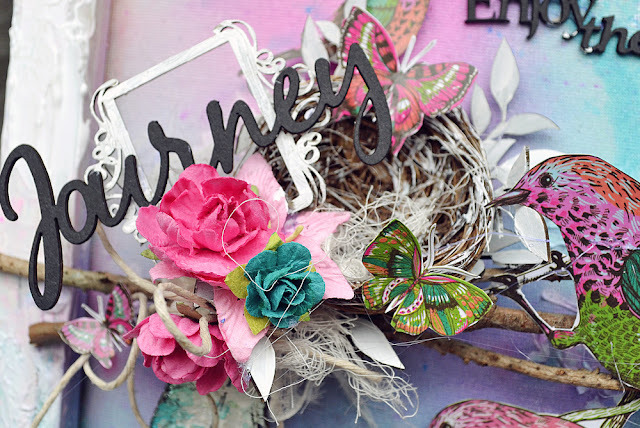 Enjoy the Journey Word) adhered over the top. 2Crafty Chipboard Products: Mini Branches Tiny Henri's Frames Enjoy The Journey Soft Feather Set For my next project, I have a little 'post' Halloween fun to share: "Frightfully Delightful"
metallic gold paint randomly dabbed over the top. 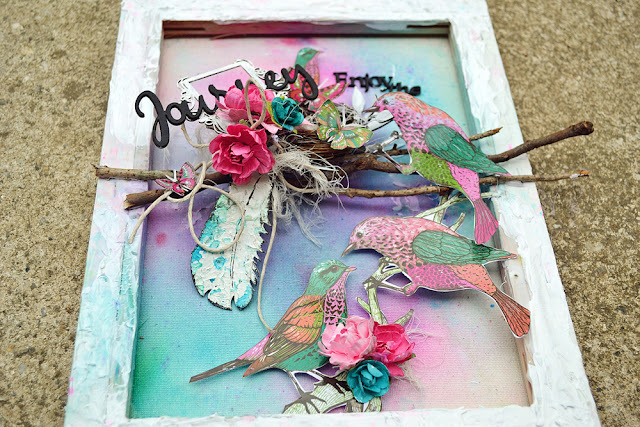 Frame Celia's Flourish accents the photo edge with fussy cut elements layered over the top. 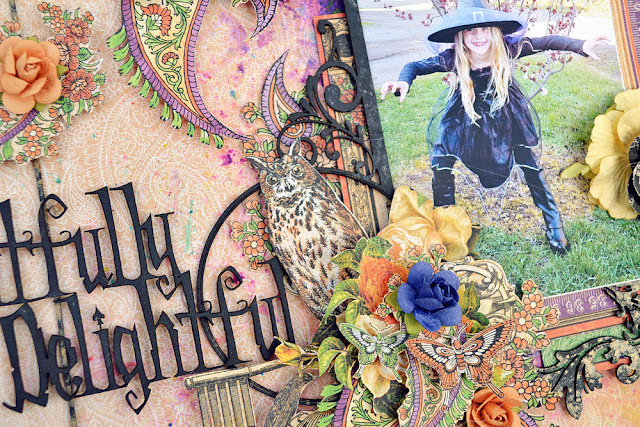 The Frightfully Delightful word title was perfect for my 'little witch' in the photo. Celia's Frame and word elements were inked black for contrast. Finally, another canvas project created for 2Crafty's Guest Design spot for Scrap Around The World October Moodboard Challenge. Canvas - "Live Everyday With Intention"
Well that's me for the moment. 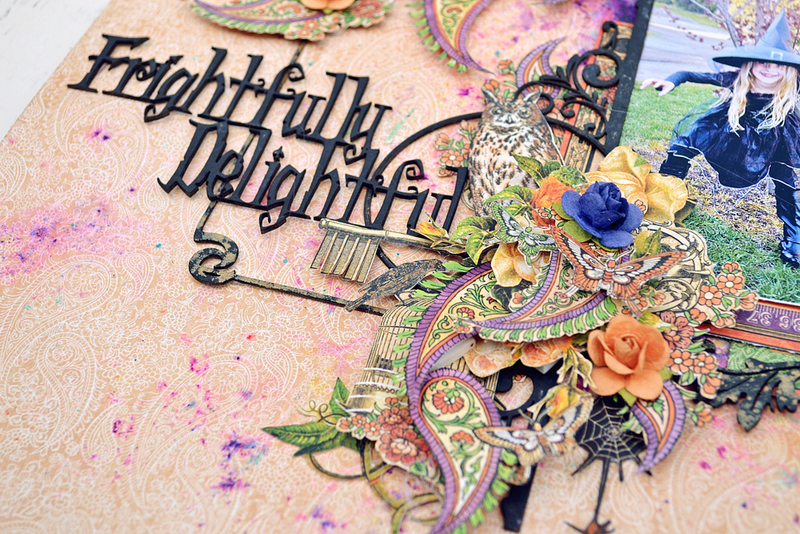 Thanks so much for dropping by the blog today and happy crafting! Remember to become a blog follower & leave a blog comment to be eligible to go in our monthly draw for a great chippie prize pack. All of your projects are gorgeous! I especially love the Halloween layout and what you did with the frame. Stunning creations. The those birds just make that canvas perfect, the colors and chipboard on the layout are gorgeous, the canvas just draws me in. I love it. Fantastic projects Trudi! 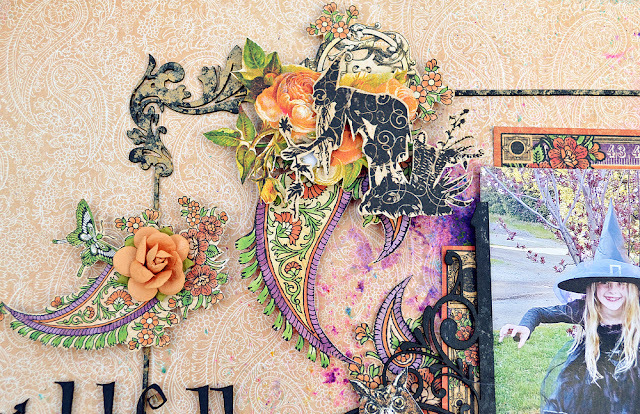 I really love your layering and details! Divine! I love what you've done with the chippies! Super stunning! The birds are literally jumping out of the canvas!! !